Begin your safari in style with the world-renowned Chobe elephants. Here you will enjoy both land and water based activities and no matter the season you choose to visit, you are guaranteed to leave with a camera full of memories. Combining Linyati area with a Game Reserve is a must in Botswana as both offer a diverse and rich wildlife for predators and plains game alike. End your African safari with the ultimate experience – the Okavango Delta – where a hot air balloon ride will take your breath away, overlooking one of Africa’s great wilderness destinations! You will be met at Kasane Airport and transferred to your preferred accommodation, this drive will take between 30 minutes to one hour. 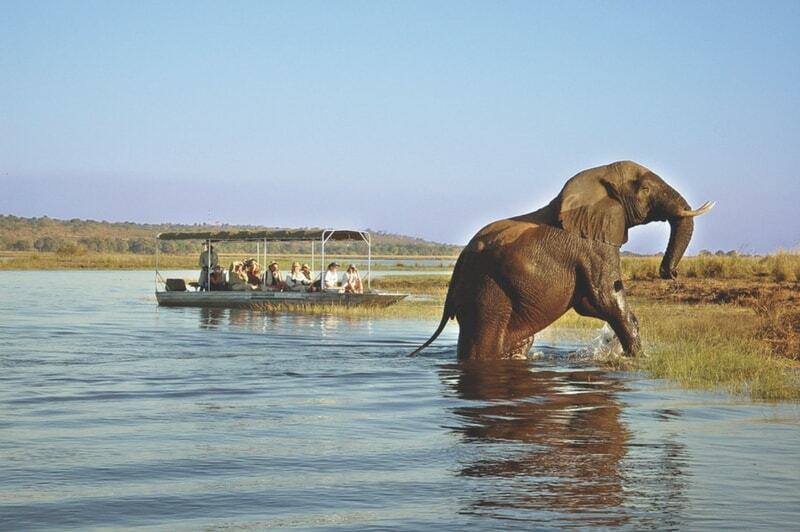 Chobe National Park is Botswana’s most biologically diverse. Located in the north of the country, it is Botswana’s third largest National Park, it is home to one of Africa’s greatest concentrations of game. Chobe National Park is the most accessible and frequently visited of Botswana’s big game country, the Chobe Riverfront is most famous for its large herds of elephants and Cape Buffalo. Activities include both river cruises and vehicle game drives. This morning after breakfast you will be driven back to Kasane airport to meet your light aircraft flight which will transfer you to Saile airstrip. Lodge staff will meet you and transfer you to camp by road, this transfer is treated as a game drive and normally takes 35 minutes. At the extreme northern reaches of Botswana, with the Caprivi on the other side, lie three of the most splendid, wild and secluded areas that Botswana has to offer. 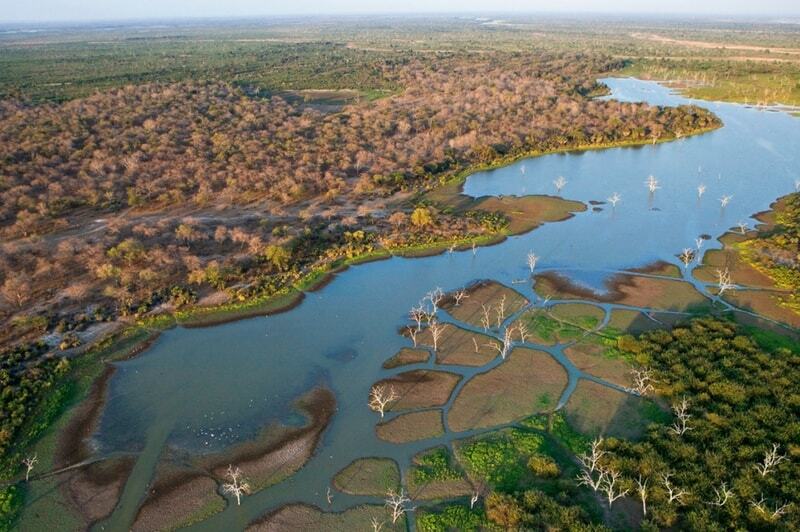 Sandwiched between the Chobe National Park to the east and the Okavango south, the huge Kwando, Selinda and Linyanti concessions offer superb wildlife viewing and terrain. The Kwando River flows south from Angola across the Caprivi Strip and into Botswana where it slowly fills the Linyanti Swamps. The outflow from the Swamps then fills the Linyanti River. On day seven, after breakfast and your early morning activity, you will be transferred to Saile airstrip for your light aircraft flight to Khwai airstrip, this short flight will take 30 minutes. 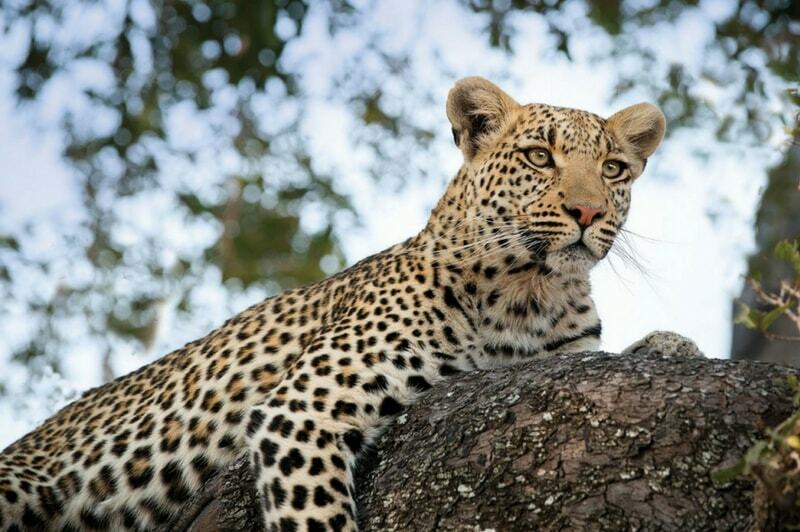 Moremi Game Reserve is situated in the central and eastern areas of the Okavango, and includes the Moremi Tongue and chief’s island, this area boasts one of the richest and most diverse ecosystems on the continent. Spectacular game viewing and bird watching can be found in this region, including all major naturally occurring herbivore and carnivore species, and over 400 species of birds, many migratory and some endangered can be found here. Both Black and White Rhino have recently been re-introduced, now making the reserve a ‘Big Five’ destination. The terrain at Moremi is a delight of perennially wet waterways, lagoons, pools, pans, and grasslands. Today, you will be transferred back to Khwai airstrip to catch your short flight to the Okavango Delta, on arrival you will be met and you will take a road transfer to meet the boat transfer, this boat journey can take anywhere between 5 and 20 minutes depending on the water levels and your final destination. The Okavango Delta is situated deep within the Kalahari Basin and is often referred to as the ‘jewel’ of the Kalahari. The Delta is fed by the Okavango River, the third largest in southern Africa. The summer rains bring floodwaters and spills over the vast fan-shaped Delta. 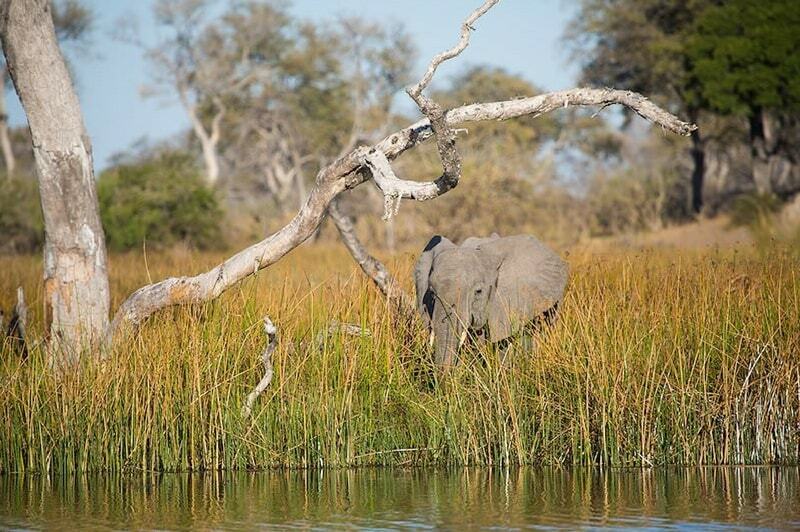 The Okavango Delta is home to a vast and remarkably diverse ecosystem of plant and animal life. You will be transferred back Vumbura airstrip to meet your light aircraft that will take you to Maun Airport. Here you will meet your international flight home. Thank you for visiting Botswana!